News from the Islamic Republic of Iran Meteorological Organization, 21 February 2008 - During 18 days from 10 to 27 January 2008, the minimum temperature in Tehran was continuously less than -5�C; the lowest temperature recorded was -11�C, while the maximum temperature was below 0�C for 12 days. 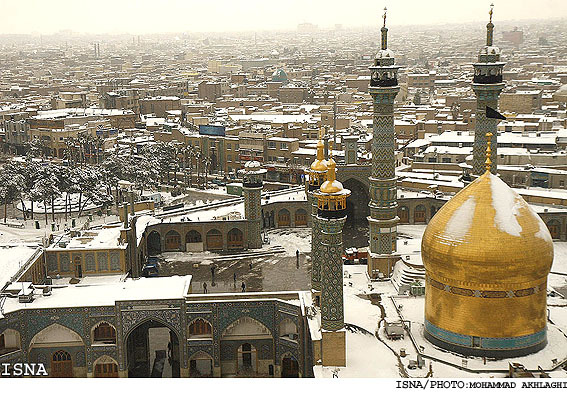 The lowest temperature recorded in Iran during this period was -32�C. Flash floods, avalanches, heavy snowfall, freezing rain, blowing snow, severe cold air and frost led to blocked roads and extensive damage to crops. Three similar episodes were recorded in the winters of 1964, 1969 and 1972. A comparison shows that the period 26 December 1963-29 January 1964 was the longest, with the minimum temperature in Tehran being below -4�C for 35 days and the lowest temperature being -14�C. 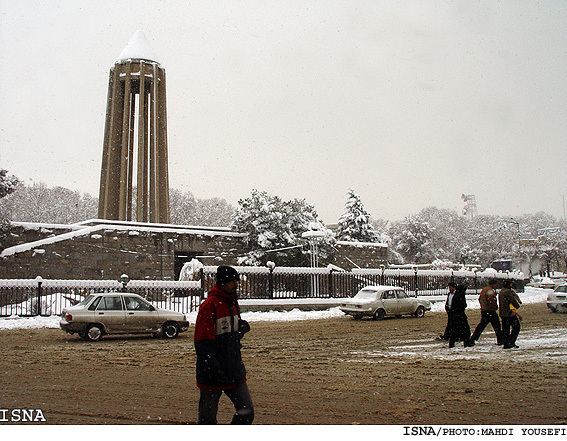 The absolute minimum temperature of Tehran was -15�C on 8January 1969 but the episode was shorter. 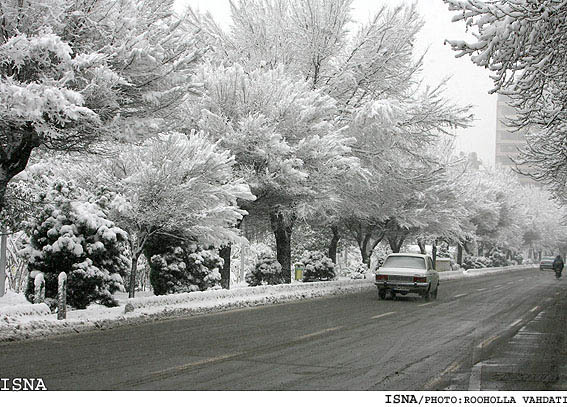 The lowest absolute temperature of Iran ever of -36�C was recorded in Saghez during the cold spell of 1969. The last extremely cold weather event occurred in January 1972, when temperature in Tehran dropped to -13�C, but was of shorter duration. In the beginning of January 2008, the polar vortex moved southward and lay over the Aral Sea in northern central Asia. A deep meridional trough frequently formed over western Europe rather than over central Europe. This trough caused frequent lee cyclones to the south of the Atlas mountain range in north-west Africa over Morocco and Algeria. Short westerly waves of these cyclones periodically passed over North Africa, the Middle East and Iran. They caused flash floods in southern provinces and heavy snowfall in central and northern provinces. Formation of a deep trough over western Europe caused an elongated meridional ridge over the Caucasus with a blocking high to the north. Southerly currents of this blocking brought bitter polar cold air down to Afghanistan and Iran. A zonal polar front jet moved southward and lay over 33�N. The combination of the polar front jet and the subtropical jet stream over central and southern parts of Iran increased wind speed up to 370 km/h. A positive North Atlantic Oscillation associated with a marked La Ni�a caused high pressure over the Azores to intensify and extend east to eastern Europe. Intensification of cold high pressure in Siberia and its expansion toward the south-west and integration with high pressure in Europe brought a very cold polar air mass to Afghanistan and Iran, which lasted almost three weeks. Increasing maximum wind speed of the polar front jet to 370 km/h as it moved south to 33�N over Iran and the Middle East.